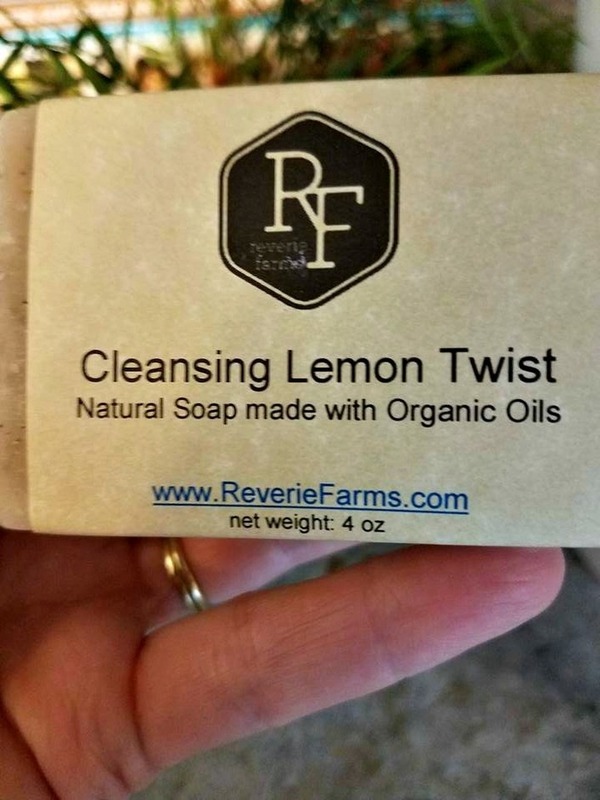 Reverie Farms & Soaps: Introducing Reverie Farms Beauty Products! I haven't used natural skin care products, but I'd like to try them. I don't know if you think it is natural but I use Clinique due to not fragrances added. I only use "natural" soap, not the mass marketed stuff sold in grocery and drug stores...look at the ingredients in standard soap, if you dare! Lica Cole is really good, I have a cleanser and moisturizer from her and love them! Yes, I use soaps that contain Coconut oil and Vitamin E.
I have some natural soap, but I usually buy regular products that are on sale. I have never used natural skin care products. I just buy stuff from Walmart or CVS. not right now, but would love to try them. My mom would love to try this, thank you so much! I use Dr. Bronner's soap and Mrs. Meyer's soap, both for body and face. I use Argon Oil for moisturizing my hair, face including eyelids, and skin when extra moisture is needed. I am currently using Honest Company body lotion and oil, but I don't plan to purchase again - I'm not crazy about the scent. I use "Kiss my face" products as well as simple coconut oil for moisturizing, love the smell! I use a ton of natural products-I like Red Flower, Mineral Fusion, and Alba Botanica. I don't use any at the moment. I trust Kiss My Face and Burt's Bees. They have good quality products. I have not honestly tried any all natural products that I would recommend yet. I'll keep up the search! I used coconut oil on my lips and hands for a while, but then I ran out. I would like to only use all-natural products if possible. Yes, I use all natural bar soap. I normally buy it from crafters at craft shows. I like supporting the small business person and the soap always works great and smells wonderful. I don't, but would like to. I haven't used natural products but would love to start! I love using organic products on my skin, t makes me feel like I am doing something good for my skin. I don't use any right now, other than some homemade soap my sister in law made me. I would love to try more. Recently, I started using coconut oil to moisturize my face after I shower- then after like a minute or two, I pat dry my face since I tend to breakout if I leave the oil on overnight. I also do like to use vinegar to clean my mirrors. Coconut Oil after showers keeps my skin soft. I use vitamin e on my face. I don't use any at the time. I need help picking something. I try to use all natural products. Many have been recommended to me by my doctors. I use mineral makeup and skin care products with natural ingredients. Since I have had cancer I don't color my hair. I am tired of all the poisons put into our products. Even baby products are full of products unsafe to use. I am not currently using any natural products that I know of. I love natural products especially for my children! This would be great! Thanks! I use sweet almond oil for hair and skin. Burt's Bee's is my current favorite in the natural beauty products department. Once a month, I use African Black soap. It seems to do the trick for my occasional acne.